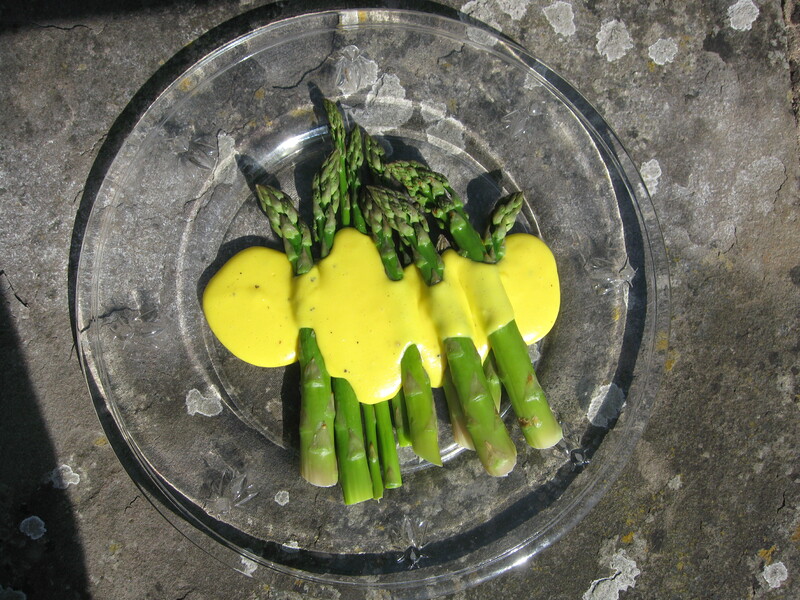 One of my favourite ways to eat asparagus right now is bathed in a fonduta sauce. Fonduta is basically a cheese custard, although it can also mean a type of fondu. The idea is that the egg yolks, cooked with melting Parmesan and creme fraîche emulsify and thicken into a rich sauce. Like a hollandaise but without the butter. 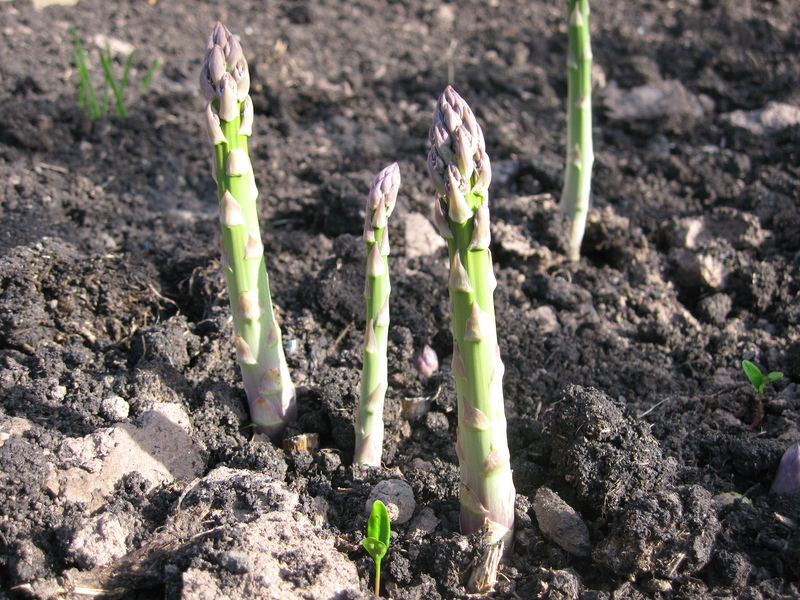 The first spears of asparagus must be one of the finest moments for a vegetable patch. Those little purple tipped arrows, piercing their way out of the soil, fuelled by a year’s worth of nutrients in their roots. Often pushing skywards so fast, a day too late and you’ve missed the moment to cut. Quickly cooked and onto the plate, they have a sweet tenderness that can only come from the shortest possible journey from soil to plate. These little spears like to move fast. After their short season, the final spears sprout into tall plants of billowing green fronds, absorbing all the light and nutrients to take back into their roots for the following year. 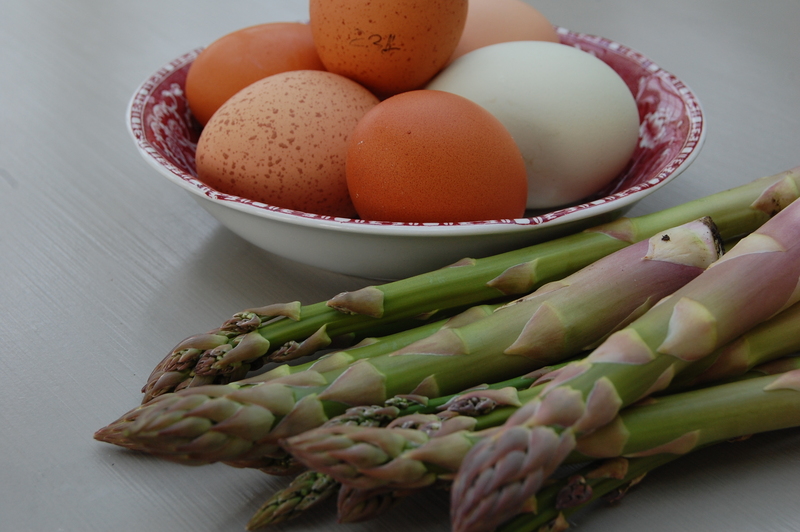 A glut is exactly what you want, because there are so many ways to eat it, you need every opportunity. One of my favourite ways this year is smothered in a creamy, rich sauce of fresh eggs whipped with parmesan and crème fraiche. Delicious and decadent and worthy of Spring’s wonderful gift. This makes an excellent lunch or light supper dish, or for a more substantial meal, toss with fresh tagliatelle. You will need a heatproof bowl that fits into a saucepan so the bottom is half way up the sides. Fill the saucepan a quarter full with water and bring to the boil. Rub the inside of the heatproof bowl with garlic and put in the egg yolks, crème fraiche and parmesan and season well. Whisk together and then place the bowl in the saucepan over the boiling water. Whisk as the mixture heats. At first it will become quite liquid, then as it continues to heat, and the yolks cook, the mixture will begin to thicken. This will take up to 10 minutes. The end consistency should be like very thick cream. Meanwhile, bring a large pan of water to the boil. Add a teaspoon of salt and cook the asparagus for a couple of minutes or until they are just soft. Remove with a slotted spoon and drain. Lay the asparagus spears on a dish and pour over the thick sauce. Season well and eat immediately.